Problems after an update always occurring on WhatsApp since there are millions of users who are using this app actively on iPhone and WhatsApp. 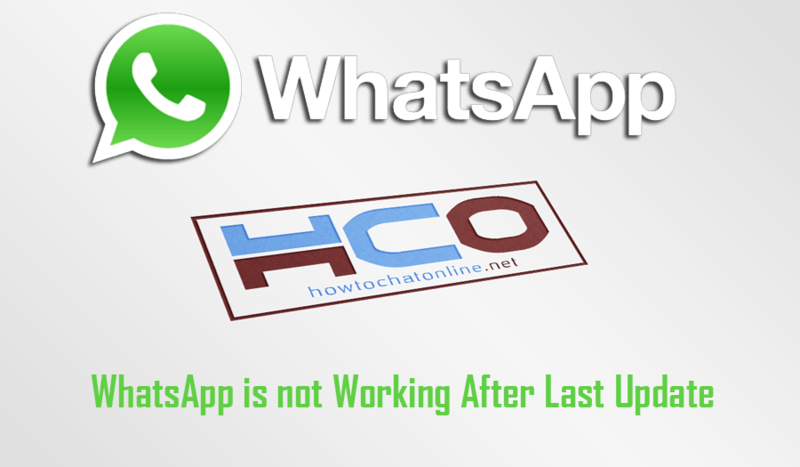 This page includes some solutions for you if WhatsApp is not working after the last update. You will manage to use your account once more in the application and you will begin to use the application without any problems again. However there are also some problems that you can’t fix them by your own. We recommend you to send a feedback to WhatsApp for those. WhatsApp is not Working After Last Update, How to Fix? Backup WhatsApp if it is working in that section. Close WhatsApp on your phone. Install WhatsApp to your device. If you don’t want to reinstall WhatsApp, You can give a try to following solution. It is very basic way to do that though. Go Settings > Apps > WhatsApp > Storage > Clear Cache > Clear Data. You will only clear cache and data of WhatsApp with this solution. We recommend you to check if WhatsApp is not working yet. Installing the older version of WhatsApp is another option for you but this is not safe at all. You will need to download APK files of the application from unofficial sources for that. Since we don’t support things which will harm your security, we are not going to publish those steps on here. If WhatsApp is not working after last update, this can be also an alternative solution for you though. You will need to find trustworthy websites to download WhatsApp for this. If you have any questions regarding this problem, you can feel free to ask us. You can also subscribe our blog to get the most recent news from Play Store and App Store.